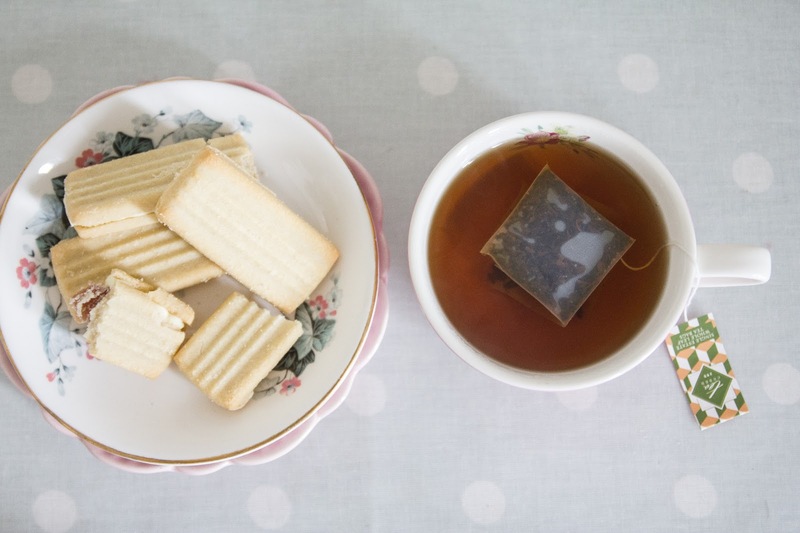 You may remember my previous post on LuLin Tea, here. These ethical Chinese Teas are a visual treat to my eyes. LuLin had sent me some different blends to try and share with my fellow tea drinkers and addicts. This little cubed tea bag is a unique product in the fact it is in a shape of a cube. It can contain a whole tea leaf due to the amount of space inside the teabag. The tea once brewed for a few minutes creates a very smoky aroma. The whole leaves are apparently dried above fires of pine needles which produces this harsh woody, smoky flavour. It reminds me of Bonfire Night. I tried it with a dash of milk, but I think this tea is an acquired taste and isn't really 'my cup of tea'! 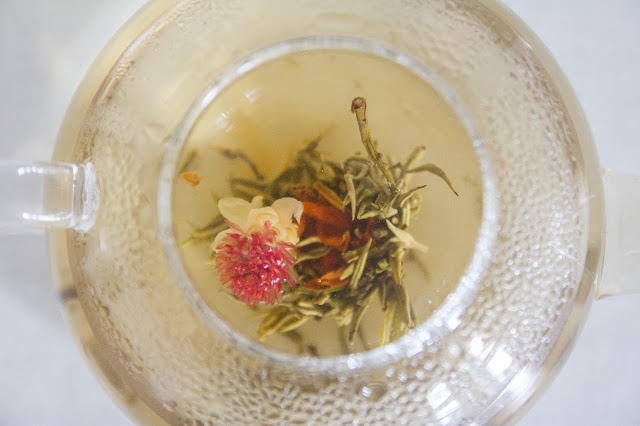 This beautiful tea is a Floral Delight! It has an overall subtle taste and aroma. Though the Jasmine is much stronger than the other flowers. As I said before, this is great for tea parties and is just beautiful watching it transform. I felt there was no need for splashes of milk or sprinklings of sugar, it really is just lovely and light on it's own. 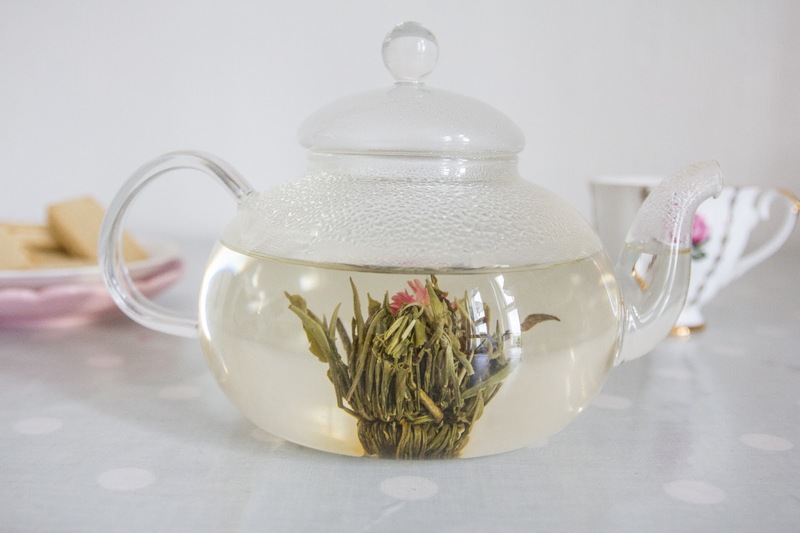 Enjoy this wonderful tea in a floral tea cup on a Summery afternoon wearing a pretty tea dress and pearls. The blooming tea looks gorgeous! 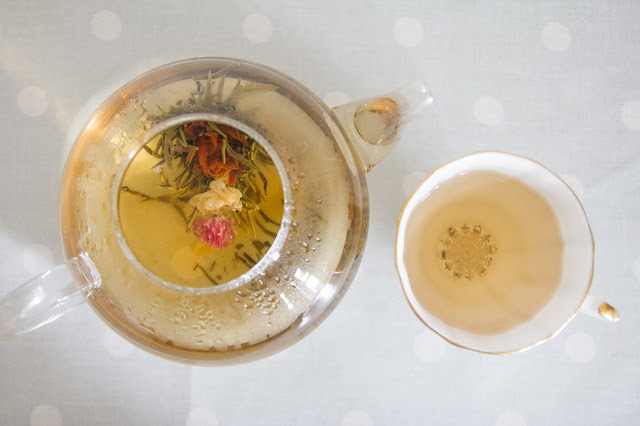 I usually drink stronger teas, but I might have to try a floral one if they're that lovely! Great photos. I'd do anything for one of those biscuits as well! This tea looks great, i will try it!